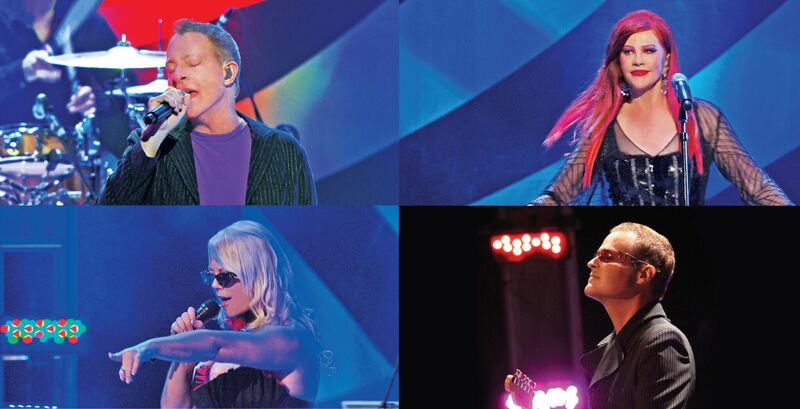 Formed in 1976, The B-52s were made up of siblings Cindy and Ricky Wilson, Kate Pierson, Keith Strickland, and Fred Schneider. They had a jam session at a restaurant that led them to establish the band. After trying out a few names, they landed on The B-52s because of how the beehive hairstyle Pierson and Cindy Wilson wore resembled a plane nose. Their new wave sound was unlike anything else at the time. The first single, “Rock Lobster,” was a success and led to them playing gigs at famous clubs like CBGB in New York and the Electric Ballroom in London . The band performed at a number of festivals and even on Saturday Night Live following the release of their second album. Tragically, in 1985 Ricky Wilson died of AIDS-related illness at the age of 32. The band took a two-year hiatus. They released their next album in 1989 which has some of their biggest hits on it, including “Love Shack” and “Roam.” Despite loss and changes to their lineup, the band continues to perform and tour today.